Skincare brands focus almost all of their energy, money, and time on creating products that hydrate, nourish, and protect the skin on your face, which is funny considering that the vast majority of your skin isn't on your face. What's more is that the skin on your body ages, too. So what's the point of having a radiant and youthful face if the rest of your skin is a telltale reflection of aging, damage, and poor care of years past? We want all of our skin to be healthy and happy, which is why we invest in products that treat our body, not just our face. Hand products are a big part of that equation. Think about it: Our hands are constantly being exposed to environmental aggressors, sunlight, and the like (anyone who gets super-dry, chapped hands in the winter time knows this to be true). Subsequently, they require products that will treat and prevent damage, not to mention the signs of aging that go along with it. That's why we looked to the internet to source top-rated hand creams. Some of these are customer favorites, some are best sellers, and some are products that we use ourselves. This cream can also be used on the feet and décolletage to target signs of aging like sun damage, hyperpigmentation, and dark spots. It may even help alleviate the look of rosacea, which is why it's one of the top-rated hand creams on Dermstore's website. Take it from one reviewer, who writes, "I could see a difference on my hands in a couple of days. My hands looked younger and more plump. The age spots are starting to fade. I decided to try this on the décolletage because of the amazing results on my hands. I am seeing a difference on my chest the deep creases are disappearing and the sun damage is fading. I am amazed at this product. I have purchased products a lot more expensive than this and did not see the results like this. Buy this you will not be sorry." 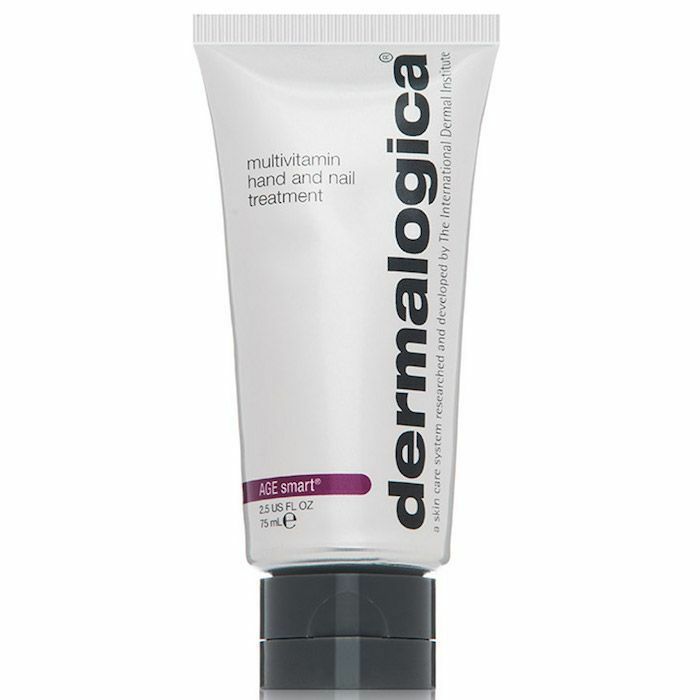 Dermalogica's cream is like a multivitamin for your hands. It has soothing pro-vitamin B5 and algae extract to shield against environmental pollution, as well as licorice extract and vitamin C to even skin tone. Other ingredients like vitamin A and ginkgo biloba address the signs of aging that are already present, so it's no surprise 87% of customers gave it five stars. "I am 53 years old, but my hands looked like those of someone much older, and it was starting to bother me. I wash my hands a lot, and I try to use lotion right after that, especially in the winter. But the lotions only stopped them from drying out. They didn't seem to do anything for the wrinkles. I had read an article that mentioned this lotion for aging hands, so I ordered it. I started using it right away—once a day, right before I go to bed. It's pretty creamy, so you do have to rub it in a little to fully absorb it. But I couldn't believe my eyes! Within 4 or 5 days, my hands were noticeably less wrinkled." Usually, we turn to Supergoop! for sunscreen (like the brand's Everyday Broad Spectrum SPF 50 Sunscreen, $19) since its formula is always so lightweight and comfortable. 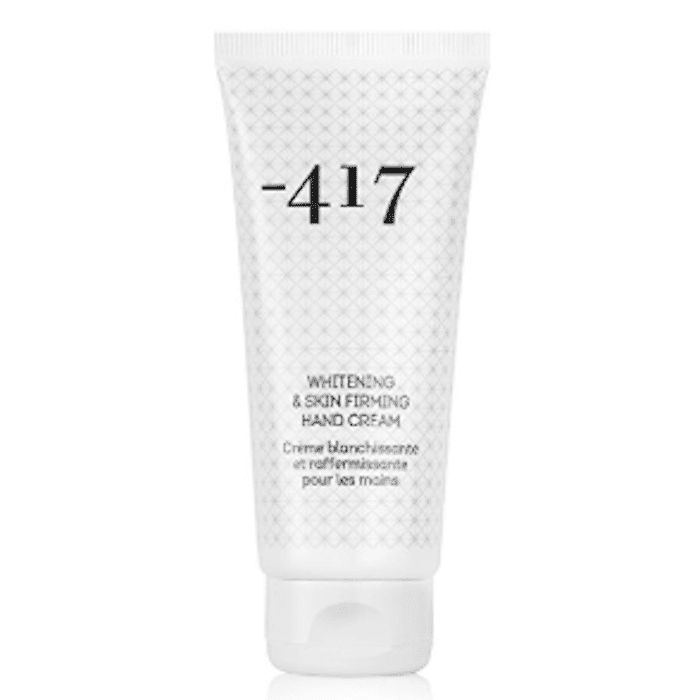 This SPF-infused hand cream follows suit. It has antioxidants and omegas (as well as the buzzy skincare ingredient sea buckthorn) to target signs of hand aging like loss of firmness and hyperpigmentation. 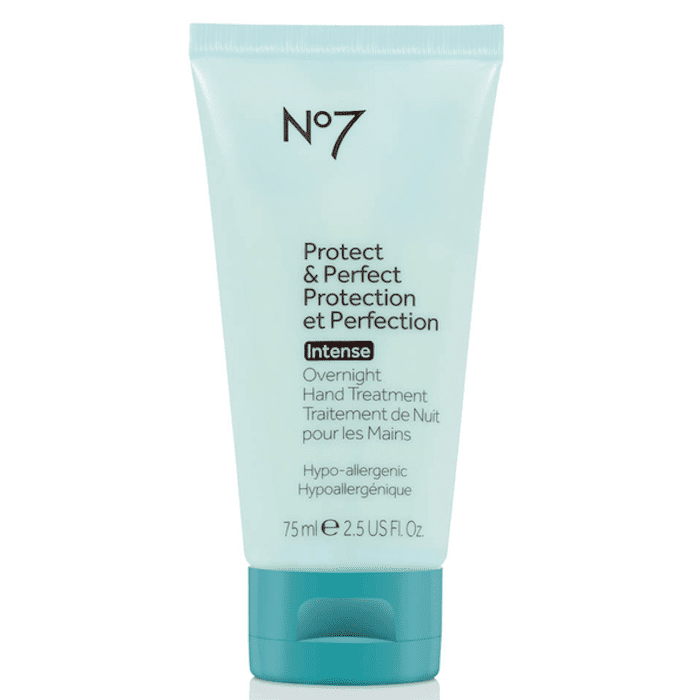 It's a good option for people who want a hydrating hand cream along with SPF protection (which is why I have it stashed away in my purse to hydrate my skin and keep my hands protected from any rogue UV exposure that happens throughout my day). 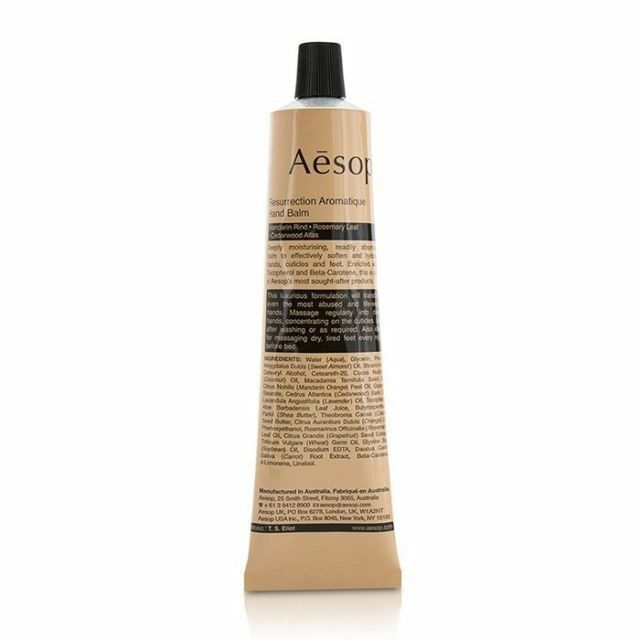 Aesop, the all-natural brand that makes highly sought-after personal care items, is responsible for one of my all-time favorite antioxidant-rich hand creams. Just as the name implies, this hand cream is super fragrant thanks to active botanicals and natural ingredients (it smells like a mix of lavender, citrus, and wood). It's basically like my own personal aromatherapy session packaged down into a travel-friendly bottle, which is why I always pack it in my carry-on before boarding a plane. It's my secret travel go-to. This drugstore hand cream is antioxidant-rich and full of vitamins, which work together to provide an anti-aging effect as well as environmental protection. Since it's only $9, and it's widely available at places like Target, we don't feel bad buying multiple bottles for our bags, desks, and vanities. We agree with one customer, who wrote, "I love the smell and the soft, silky feeling it leaves on my hands, no grease. Also the size as it fits in my purse perfectly." 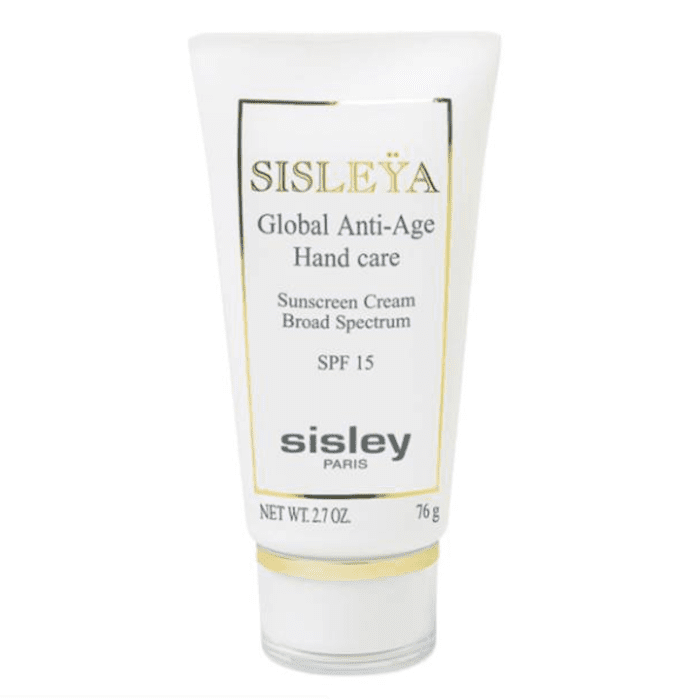 This is definitely the most luxurious (and expensive) hand cream on this list, but that's to be expected seeing as it comes from Sisley, the Parisian brand known for its high-end skincare (like the ever-popular Black Rose Face Mask, $162). It's famous for applying flawlessly, almost sinking into the skin on contact. 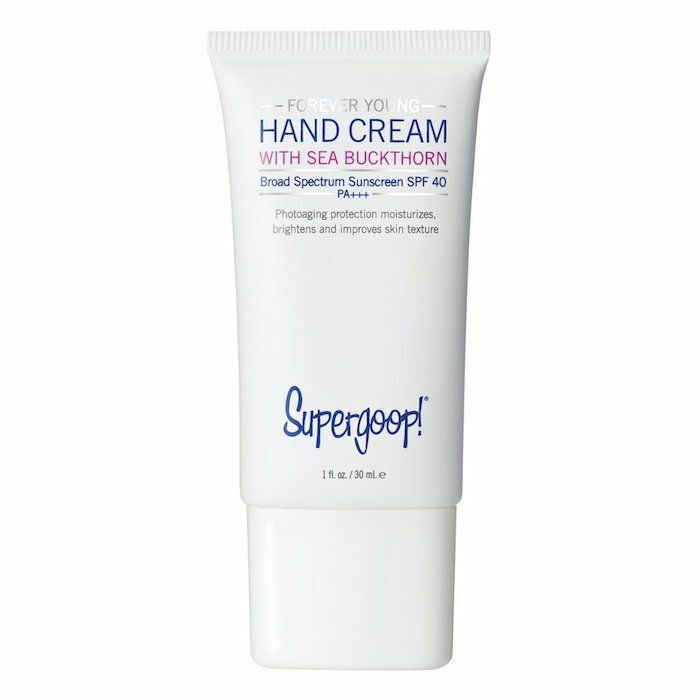 As such, it's one of the most top-rated hand creams at Nordstrom. And between you and me, it makes for the chicest addition to a vanity. Another luxury pick, this K-beauty AmorePacific hand cream is all about using green tea to reverse the signs of aging. Green tea is antioxidant-rich, which means it helps fight free radicals. It has green tea stem cells, green tea polyphenol EGCG, and green tea saponin. Take it from one Nordstrom customer who wrote, "I had a sample of this hand cream, AmorePacific Time Response Hand Renewal Cream, and I loved it immediately. I finally purchased the 3 pack and the love continues! 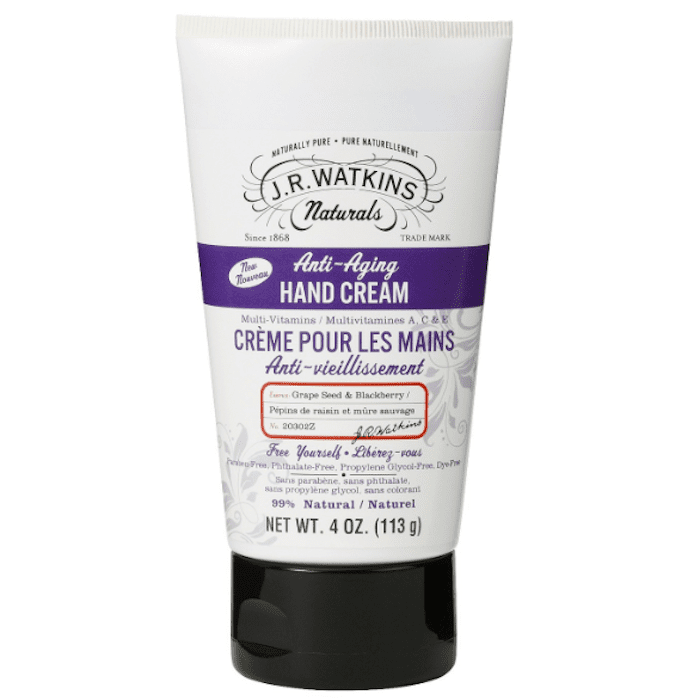 This is a great hand cream, and as others have mentioned, not greasy. 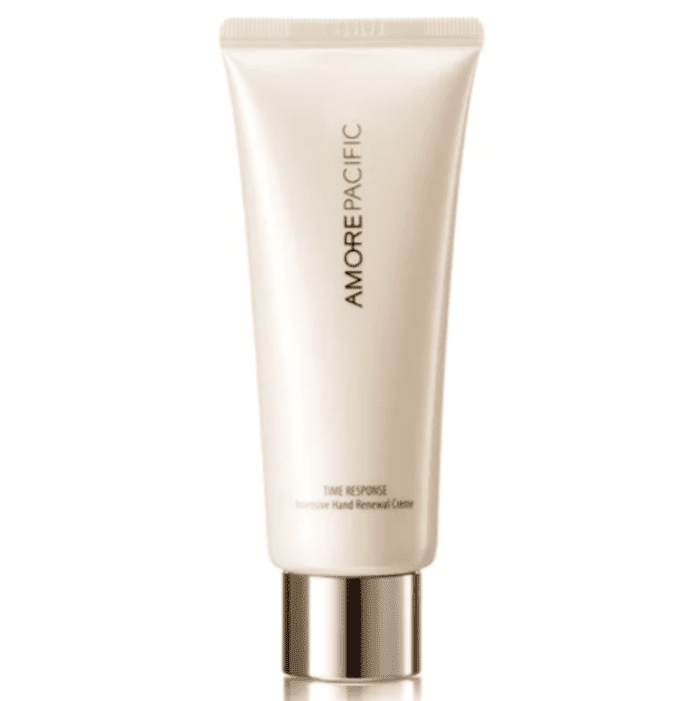 It goes on smoothly, absorbs quickly, and has a faint bamboo sap fragrance that is found in many of the AmorePacific products (of which I have many). Actually the fragrance is one of the reasons that I bought it, but for those of you who dislike fragrance, never fear, it dissipates right away." This drugstore hand cream works for your hands like a sleeping mask does for your face. It uses fruit extracts and shea butter to moisturize and defend the hands against signs of aging. The reviews are glowing, and 74% of Amazon customers give it five stars. "I am 47 and am noticing the first visible signs of my hands aging, and so far no product has worked to do anything outside of temporary softening the skin. This product is the exception. After wearing at night (often with hand gloves) for about two weeks, I've started to see not only softer hands, but smoother, clearer skin. My hands look at least 5–8 years younger so far, and I'm looking forward to the end of four weeks, which is when the manufacturer claims you really are able to see a difference. I see fewer age spots and dry patches, and definitely a … brighter overall effect. Will definitely keep using," says one reviewer. This is another Amazon standout product. 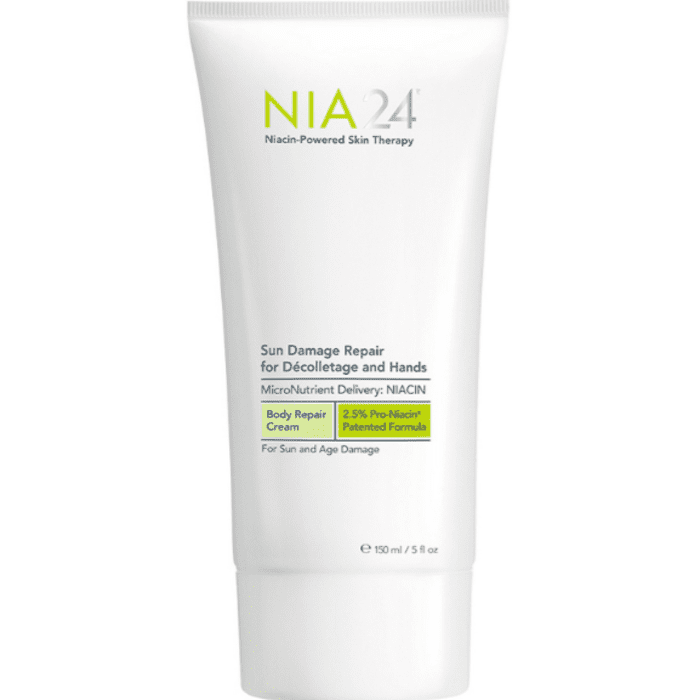 It promises to hydrate and brighten skin and decrease the appearance of hyperpigmentation and dark spots. It's garnered five-star reviews from 93% of customers, which has urged many more to try it out for themselves, like this reviewer: "I had never heard of this brand before, but based on positive reviews I decided to try it. I am so pleased I did. The hand cream arrived on time. The smell is very pleasant, more importantly it feels wonderful on my sore, parched hands. The hand cream is not sticky and melts into your skin quite quickly leaving no residue, but definitely leaves the skin feeling softer. Since I have only used the cream for two evenings I can't say whether it has a lightening effect, but my hands certainly feel softer in the morning. I plan on buying again. Thank you for prompt service and excellent after purchase follow up." Okay, so this is technically a serum and not a cream, but it's still subtly hydrating. 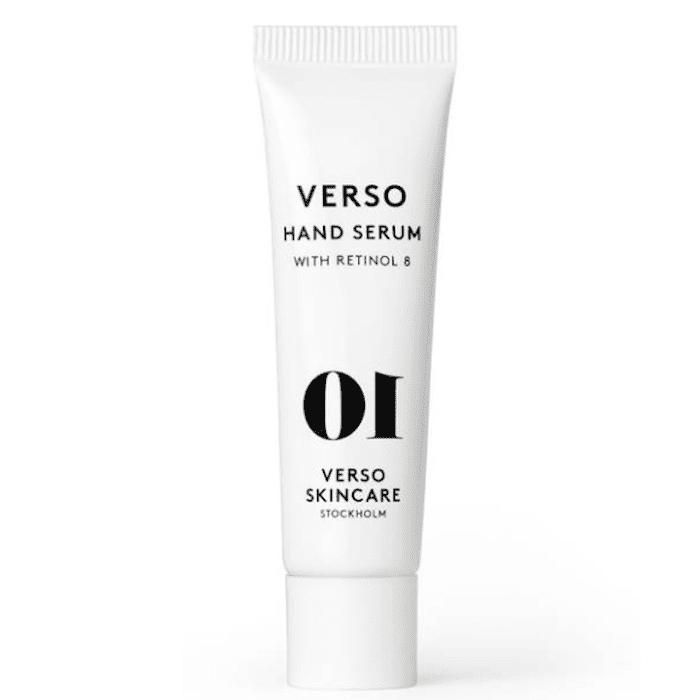 It hails from the buzzy Stockholm-based skincare brand Verso. Apply it at night or in the morning and the active retinol will correct signs of aging like wrinkles and fine lines (in the same way retinol corrects signs of aging in some of our favorite face serums). Just be sure to layer sunscreen over top, since retinol can make your skin more susceptible to UV damage. Now that you have your hands moisturized, nourished, and protected, read more about anti-aging—namely, anti-aging products to treat the other 95% of skin not on your face.